Emotional release, delays, disorder, sorrow, moving into personal power, letting go of negative energies, recovery. With an inner-knowing, Moth seeks the light in the darkness. Her journey to find the light may navigate her through ongoing darkness, yet she holds faith in knowing that she will move through the rough patches. Moth urges you to not deny nor suppress heartache, but to allow your feelings to flow freely so that they may eventually be released. The weight of sadness will be transformed into love and courage, and new breakthroughs will take place. 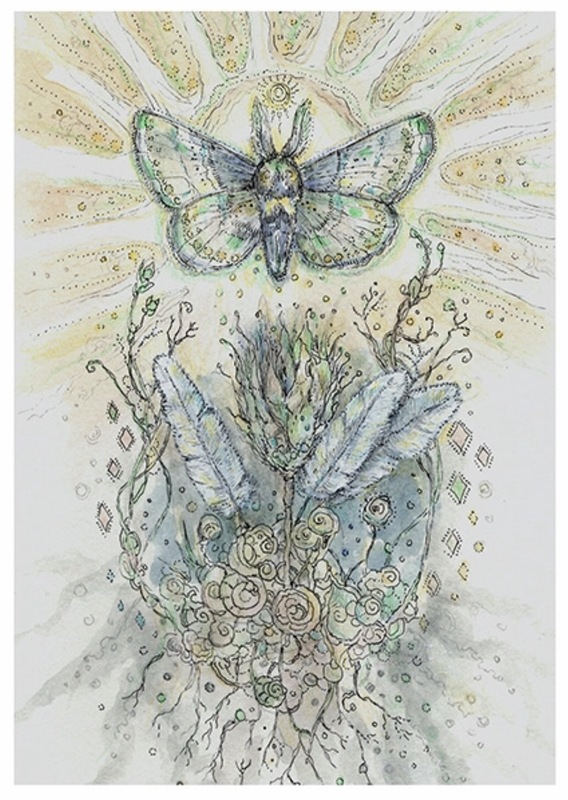 This entry was posted in Artist, Deck Review, Featured Card of the Day, General Tarot, Readings and tagged 3 of Feathers, Moth, Paulina Cassidy, Spiritsong, Tarot.